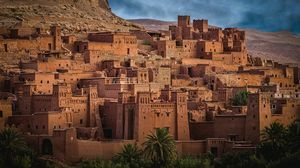 Casablanca, Rabat, Fez, and Marrakesh, through the High Atlas Mountains and into the Sahara, discover the beauty, traditions, and culture of this amazing country and its people. Marian Amodeo, currently the director of the Hamden Public Library system, has been travelling far and wide since 1989. Her trip to Morocco in the fall of 2017 was a stand-out among the places she has visited, and she enjoys sharing what she learned about this fascinating country.